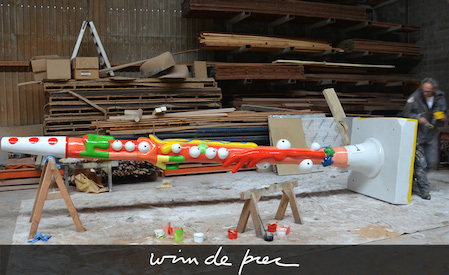 In my last blog I wrote about the opportunity I received to make an eye-catching trophy in honor of the International Clarinet Competition Ghent and the European Clarinet Festival in Ghent. The sculpture titled ‘The Clarinet’ towers 5.20 meters high, so of of course it wasn’t made in five minutes. In the 2 minute video below, you can see how the sculpture was made. Click on the video and brace yourself for the birth of ‘The Clarinet’. 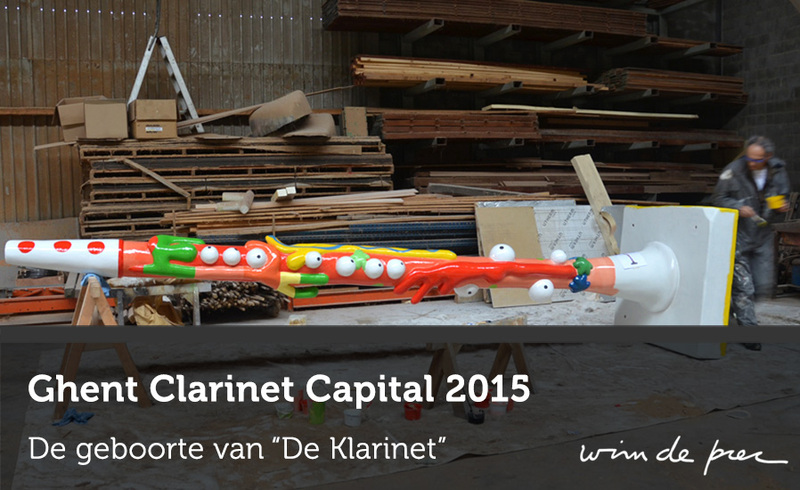 Would you like more information about Ghent Clarinet Capital 2015 and ‘The Clarinet’? Be sure to check out the interesting report about Ghent Clarinet Capital 2015 on the Cobra website.